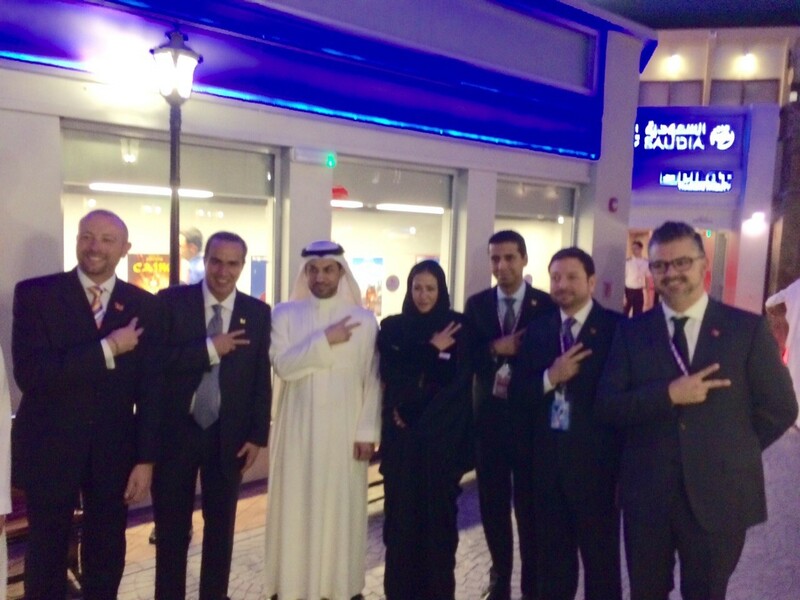 KidZania Jeddah Becomes KidZania’s 17th Metropolis! JEDDAH, Saudi Arabia. KidZania Journal. January 15, 2015. (English). –KidZania Jeddah has been founded today, making it the 17th location where kids are completely in charge of their destiny as they navigate a kid-sized city and test drive careers of every kind – from doctor to secret agent to professional soccer player. To date, KidZania has hosted more than 40 million children at its edutainment locations that span the world from Japan to Chile and Thailand to Portugal. KidZania Jeddah is also the third Middle East location, joining KidZania Dubai and KidZania Kuwait. Built on an unwavering commitment to help children realize their full potential in a fun and educational context, KidZania Jeddah boasts more than 68 establishments that provide 85 real-world careers to deliver the brand’s signature role-playing experience. Kids ages 4-14 will discover an ultra-realistic, kid-sized replica of a city, built indoors and brought to life with real-world establishments sponsored and branded by leading multi-national and local brands. KidZania Jeddah will provide a unique opportunity for Saudi children and guests from around the world to experience life as adults, working together to run the city, while simultaneously learning the values of leadership and teamwork. KidZania Jeddah is located in the heart of Saudi Arabia in the Mall of Arabia. The extreme heat and dry conditions make the new KidZania Jeddah an oasis of fun and learning for the Saudi children. 40 Million Families & Children Have Visited KidZania’s 17 Locations. KidZania Jeddah features 35 premier global and local brands to help authenticate every experience. Key brand partners at KidZania Jeddah include: Saudi Airlines, Coca Cola, Domino’s Pizza, Clear, Rainbow, Panda, Alalali, Mix FM, Tetra Pak, Obeikan bookstores, Okaz, Saudi Investment Bank, IMC Hospital, Burger King, Mobily, Mobil, Al Wefag, Jotun, Fitness Time, Dallah, Al Rabie, Ministry of Water, Abdul Samad Al Qurashi, Al Jazeera children’s channel, baby Fetihy, Kwality, lifebuoy, Saudi Post, Sffeco, Signal, among others.